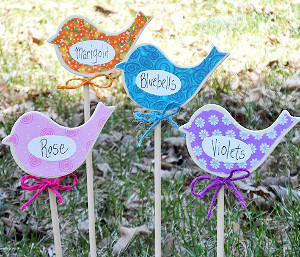 Mark your beautiful garden with adorable Birdie Flower Stakes so that you know which flowers rest where. Spring crafts for kids don't get any more fun or useful than these craft activities for children. These flying friends will keep your garden pretty and protected. They look awesome, but they're really simple to make, so don't be afraid to embark on this crafty journey to make spring shine. Bird crafts for kids are fun ways to learn about the amazing creatures. If you don't have a garden, these fun spring crafts for kids can serve as lawn stakes to dress up your front yard and show the world that you are ready for sunshine and fun. 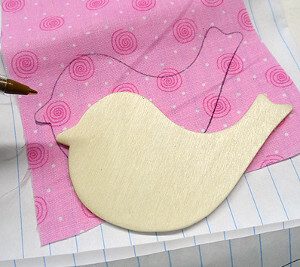 Use a pen to trace around the wooden bird onto your fabric. 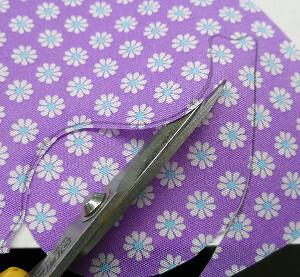 Cut out the bird shape, trimming about 1/8-inch off around the entire design. 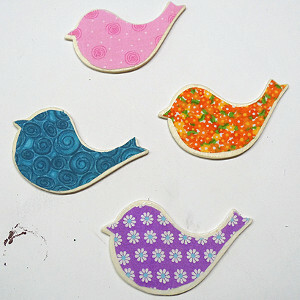 Use Mod Podge to attach the fabric to the wooden bird. Paint a white oval onto the fabric. You may need 2-3 coats so that the fabric does not show through. 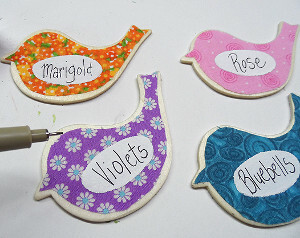 When fabric is completely dry, write the flower names in the white oval. Let dry for about an hour. 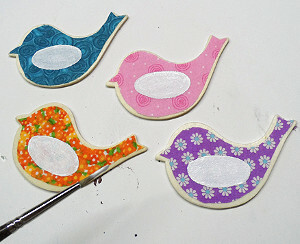 Give both sides of the bird two coats of Outdoor Mod Podge. Attach dowel to the back of the bird using E6000 adhesive. Tie twine into a bow around the dowel, just underneath the bird.